Coca-Cola India, announced the launch of a new campaign for the leading lime and lemony drink– Limca. 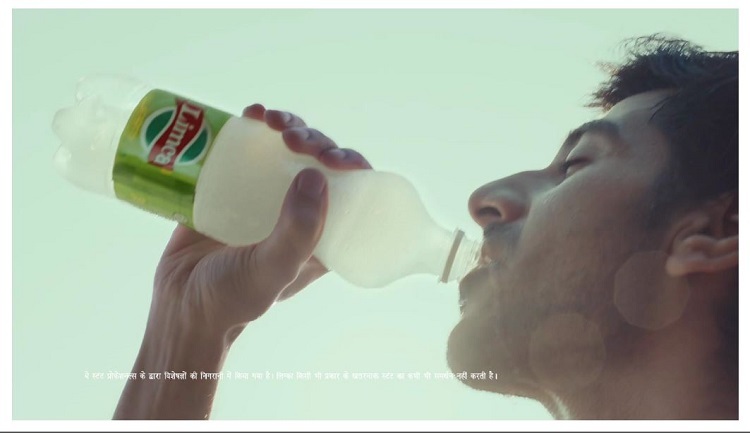 The new campaign ‘Chadha Le Taazgi’ is aimed at elevating the brand’s positioning as the ultimate thirst quencher. The TVC is a romantic and playful interaction between a young couple who lives in the same neighbourhood. It’s a hot summer day and the boy has just returned with his friends from a football match. His love interest is standing in her first-floor balcony drinking Limca. As he requests the girl to share her drink, she starts teasing and dares him to come up and get it from her. Tempted by the chilled bottle of Limca, he devises a quick plan to reach the cool, refreshing drink. He gathers his friends and forms a human ladder to reach her balcony. As he and his friends climb up, things come to a standstill in the neighbourhood. The neighbours watch the spectacle with curiosity, cheering him on. Finally, on reaching the balcony, thirsty and worn out, he grabs the bottle of Limca and takes a swig. He loses his balance and along with his friends, falls into a pool of water creating a massive splash. You can view the new TVC here.